Logan Allen delivered his first career no-hitter in Friday’s 9A state semifinal. 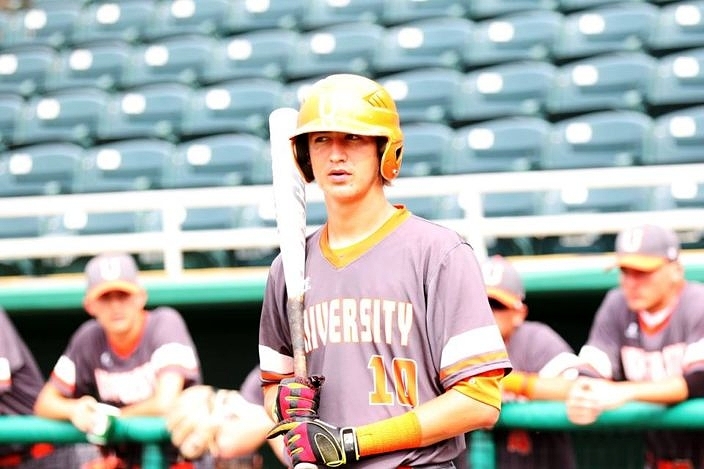 University School’s Logan Allen was the worst kept secret of the 2017 state tournament. The senior left-hander came into Friday’s 9A state semifinal against Miami Palmetto following a dominant season in which he turned heads with his brilliant pitching. 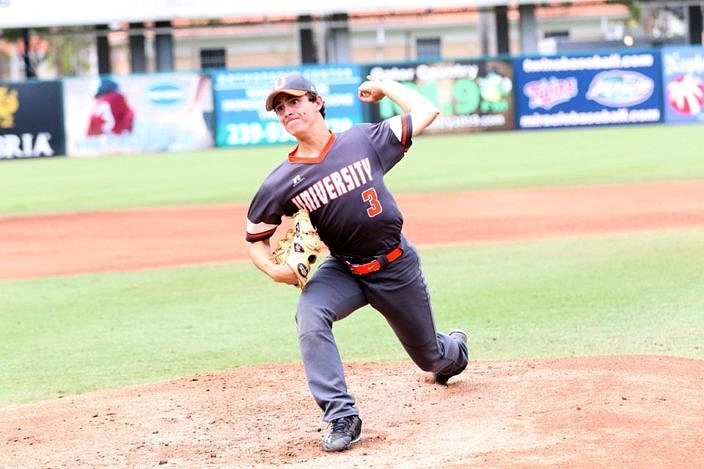 Facing a tough, and scrappy Palmetto lineup did nothing to faze the impressive southpaw, as he delivered his greatest performance in his final career high school start by throwing a no-hitter that led University to a 4-0 victory that advanced the Titans to Saturday’s 9A championship. 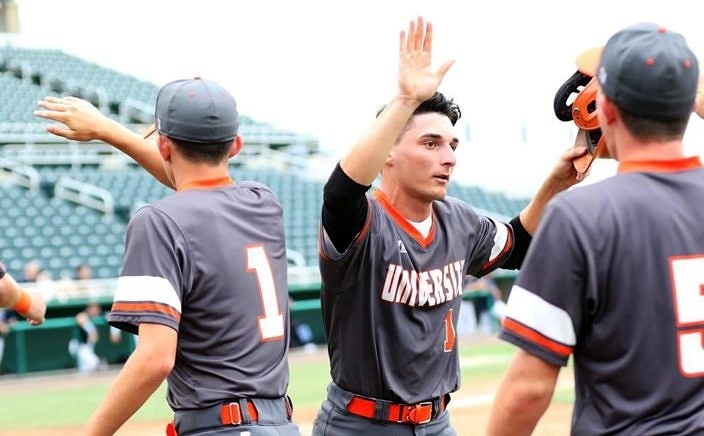 University will face off against local nemesis Timber Creek, after the Wolves defeated Jupiter to advance on the other side of the bracket of the state’s largest classification. “I was trying to go out there and make pitches and it worked out well,” Allen said. This understatement merely serves as reminder of the type of competitor that Logan Allen is. Baseball is a team game and the success he has enjoyed is only enjoyable because it benefits all of his teammates as well. Having a player of that caliber of talent whom is also a humble leader most comfortable joking with teammates and reminding them all to enjoy the game they play has been invaluable to the team. As is so often the case in no-hitters, the defense got its chances to back its starter by making big plays. Senior outfielder Cameron Robinson delivered in that role by making an impressive catch in the fourth inning that kept the no-hit bid intact. “In my mind I was thinking that I’ve got to get to that ball,” Robinson said. Very few balls were even put in play, as Allen retired 10 batters via strikeout. He issued a walk late in the action to lose the bid for a perfect game, but obtained the no-no in part thanks to Robinson’s big contribution. It was a day that the Titans will always remember, and Allen made it that much more special a memory even before he ever took the mound by giving his club all the runs it ultimately needed with a solo home run to left field in the top of the first inning. Although the Titans got to Palmetto starter Matthew Turner with the lead and a bases-loaded jam, the left-hander worked his way out of trouble to escape having surrendered only the one run. The Panthers’ ace battled to keep his club in the contest, while they worked to make adjustments to try and figure out Allen. University extended the lead with a three-run fourth inning that provided a much larger cushion. Timothy Dixon and Jesus Ruiz both singled to start the inning, before Dixon was caught out when Turner fielded a bunt from Michael Sinopoli and fired to third to erase the lead runner. Jackson Roberts worked a walk that loaded the bases, before a passed ball allowed Ruiz to cross the plate. Allen then delivered again with the stick by lining a single to right field that plated two base runners.